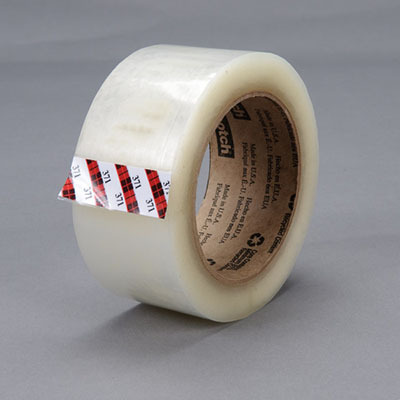 Ideal for general industrial use, Scotch® Box Sealing Tape 371 is a medium duty packaging tape that adheres to a variety of materials and works well in tape dispensers. The moisture-resistant polypropylene backing resists abrasion, chemicals, and scuffing to hold strong throughout the shipping process. It easily conforms around edges and on rough surfaces to provide a lasting hold.